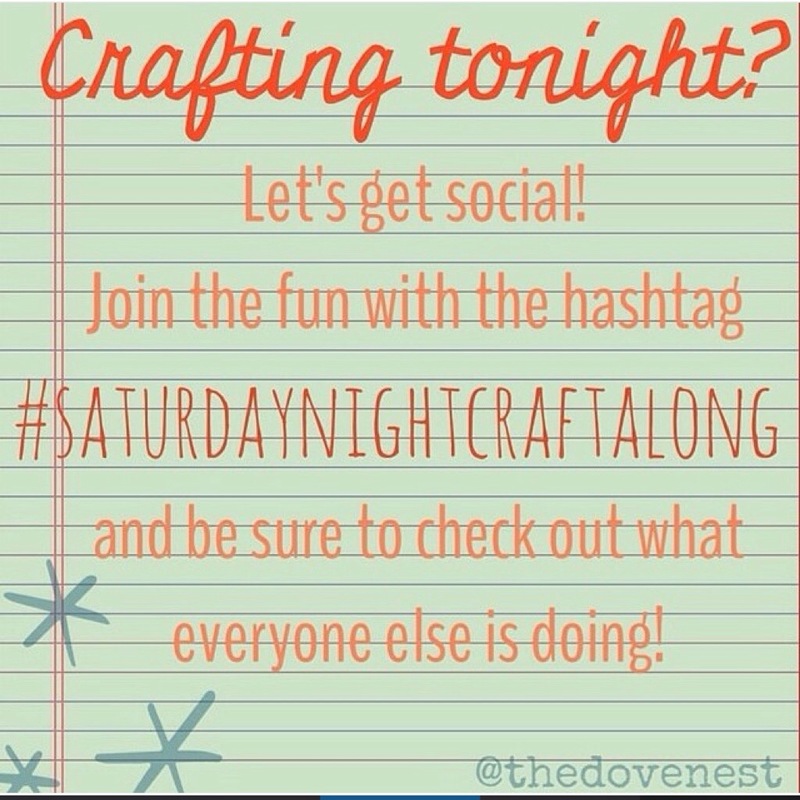 I realised this week, when I saw a post from Tonya from Crafty Mummy, that I haven’t ever really blogged about #saturdatnighycraftalong. Am I the hostess with the mostest or what? In my defence, it is something that I just kind of fell into and it took on a life of its own. On a whim, one Saturday night in May 2014, I asked if anyone would like to join me in chatting and crafting for the evening. The mister was away, I had my usual ridiculously over optimistic to do list, and the night before (? Possibly the week before?) I’d had a blast joining the Great Aussie Friday Night Sew In. So I knew how much fun SOCIAL networking while crafting could be. 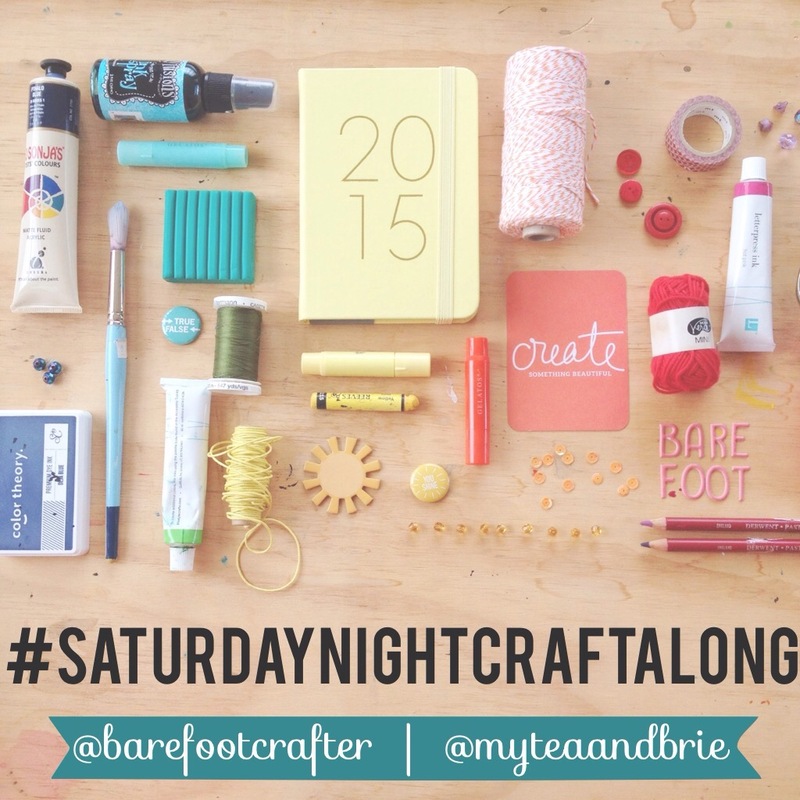 Without thinking about it too much, I picked a hashtag, made up a graphic and we were off and crafting. The next week rolled around and I was asked if I was running it again. Um. Wow, really? Apparently I wasn’t the only one who enjoyed myself! And just like that, I found myself running a weekly Instagram party. Just a couple of weeks ago, we celebrated the one year anniversary of the party, which still blows me away. We around getting between 40 and 60 photos a week added to the tag, and have a total of around 2500 photos! It’s so much fun hanging out with the little community that has built up around the craft along. It’s so full of encouragement and friendly faces and lots of great chatter and connections. I’ve found some lovely feeds to follow, and it’s always great to be able to ask the peanut gallery for advice when you get stuck. In the hopes of encouraging new people to join and keep the regulars returning, I keep the “rules” simple – add the hashtag and tag me, and you’re in the party! I do have a co-host to run the American leg of the party (@myteaandbrie) and ask that the people joining on her watch tag her. It’s just a nice little acknowledgement of the work we put in – these days I spend more time on Instagram than crafting! Aside from that, anything else is optional – we do strongly encourage a small amount of liking or commenting because we don’t want to see it become a dump & run tag, and it’s such an enthuastic, engaged community that I want it to be an encouraging evening for everyone. Sound like it might be something you are interested in? I kick off the party around 6pm AEST on my Instagram account and we have a bit of a chat, and then around 9 I call a drinks break and provide a discussion starter prompt for some fun get-to-know-you chat. Both are optional but are an easy way to introduce yourself to the community. We’d love to see you there this weekend!